The Indian economy presently is believed to have established itself on a healthy growth path and this would increase going forward the energy consumption in the country. This increase in consumption is expected to be supplemented by an alteration in the primary energy mix of India on account of the substitution of oil by natural gas. The share of natural gas in the energy mix of India is expected to increase to 20% in 2025 as compared to 11% in 20101. However, given that all the plans for expansion in natural gas supply in the country with the help of additional RLNG terminals, nation wide transmission pipeline network and transnational pipelines are expected to materialize by 2025, it is envisaged that the share of natural gas in the primary energy mix would reach 20% till 2030 if not more. 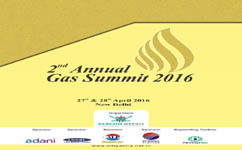 In recent years the demand for natural gas in India has increased significantly due to its higher availability, development of transmission and distribution infrastructure, the savings from the usage of natural gas in place of alternate fuels, the environment friendly characteristics of natural gas as a fuel and the overall favourable economics of supplying gas at reasonable prices to end consumers.Power and Fertilizer sector remain the two biggest contributors to natural gas demand in India and continue to account for more than 55% of gas consumption. Today, the natural gas sector is at the threshold of rapid growth in India supported by ever increasing demand for natural gas in the country, increased exploration efforts under NELP, commissioning of the LNG import terminals in the West Coast, projected upcoming LNG terminals and the Government's initiatives in the direction of development of a nation-wide natural gas pipeline grid. However, there is a need to provide a proactive enabling environment to support the fast-paced development of natural gas infrastructure. An enabling environment includes providing desired policy support and the correct pricing signals for investment in the sector, reforming the present set of regulations to adopt to changing needs and making them more robust and addressing the distortions in the fiscal regime applicable for natural gas. Thus in order to address various concerns and the shape of things that are likely to emerge in the next few years. 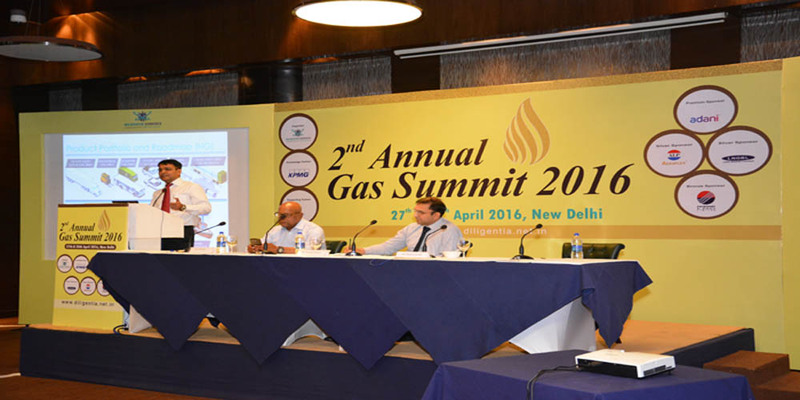 Diligentia Services is organising its Second Annual Gas Summit with experts drawn from various fields to deliberate upon the key issues and developments and review the road map for the growth of gas industry in India as the epicentre. The Petroleum Federation of India is an apex Society of entities in the hydrocarbon sector to promote the interests of members through a self regulatory environment with national and consumer interest in sight.It acts as an oil industry interface with Government, regulatory authorities, public and representative bodies of traders and helps in resolution of issues and evolution of policies and regulations. It represents the industry on Government bodies, committees and task forces. 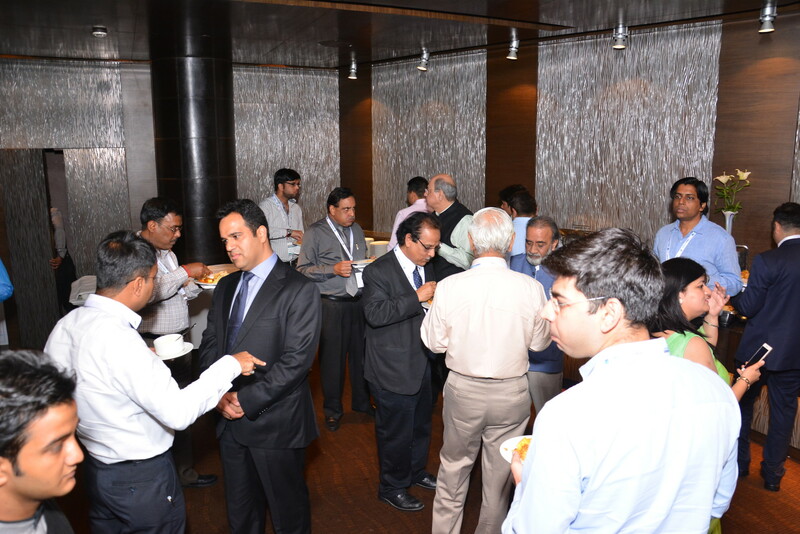 PetroFed organizes seminars, conferences, workshops, training programmes, lectures and brings out a quarterly journal and technical publications. It functions through committees from member organizations and other experts, covering all aspects of oil and gas industry which submit recommendations on an ongoing basis. PetroFed has instituted 14th oil & gas industry awards in 12 categories. 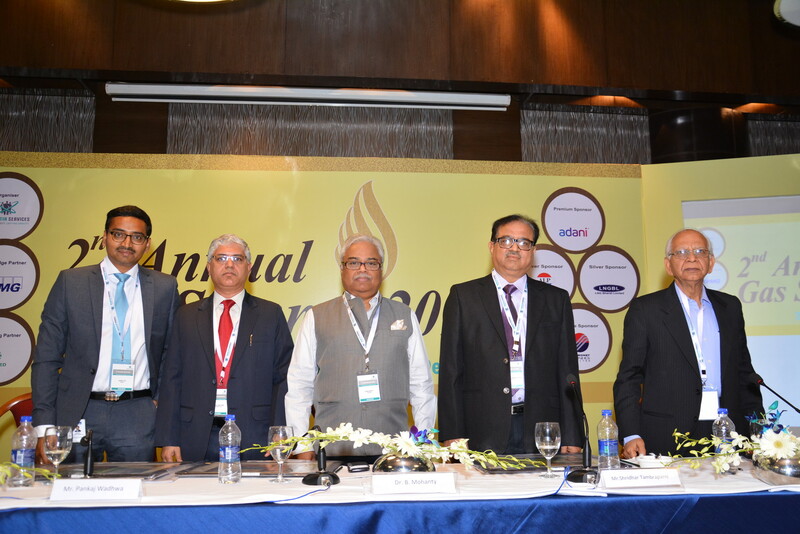 The awards are open to all oil & gas companies operating in India. LNG One World, a wholly owned subsidiary of Drewry Shipping Consultants, is an established brand within the LNG market place. LNG One World for over a decade has been providing the industry professionals with rich and in-depth coverage on the LNG value chain helping them keep abreast of the trends in the industry. It provides latest news, editorials besides latest trade and shipping data. With strength of over 8,000 registered members across the world, LNG One World contributes to help make better trading and investment decisions. LNG One World's subscriber base includes oil & gas majors, shipowners, shipyards, terminal operators, traders, risk managers, analysts, and industry leaders. To be a part of the LNG family and actively participate in the live discussion forums on the latest LNG issues all are welcome to register on www.lngoneworld.com. 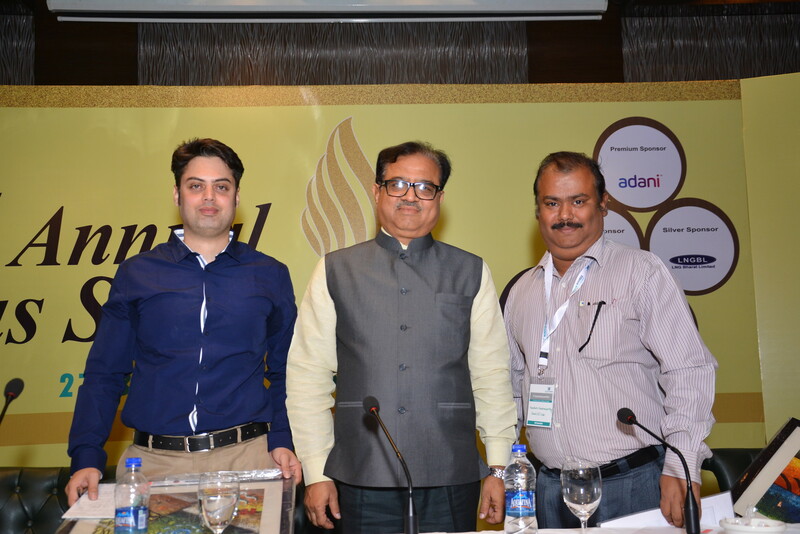 Adani Gas Ltd. is developing Natural Gas distribution projects across various cities in the country for customers in industrial, commercial, domestic and transport sector. Natural Gas is a convenient, reliable and environment friendly fuel that allows consumers to enjoy high level of safety and economic efficiency. The company has already set up city gas distribution networks in Ahmedabad and Vadodara in Gujarat, Faridabad in Haryana and Khurja in Uttar Pradesh. In addition, the development of Allahabad and Chandigarh city gas distribution is awarded to consortium of Adani Gas Ltd and Indian Oil Corporation Ltd.
ALP Aeroflex India Pvt. 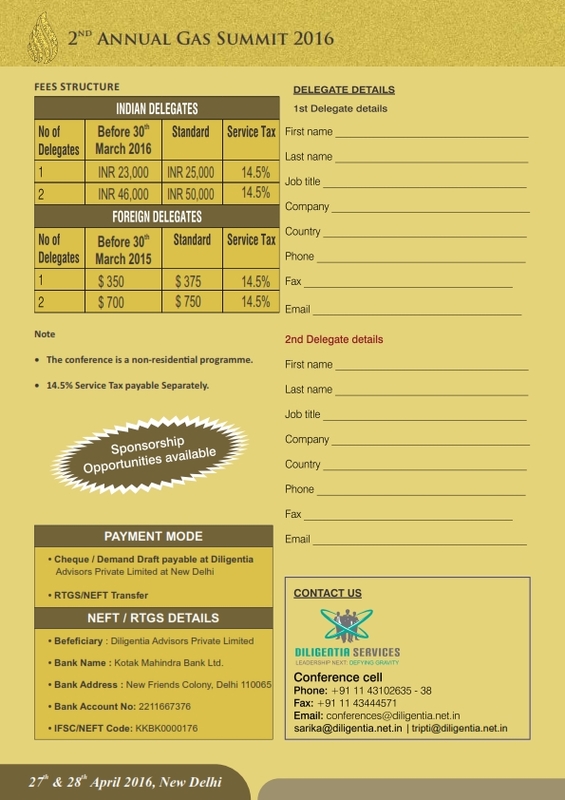 Ltd is a joint venture of ALP overseas Pvt. Ltd. of India and Eastern Polymer Industries of Thailand for the manufacture of ALP Aeroflex brand of EPDM and Nitrile Insulation Sheets, Tubes and Accessories for the HVAC & R Industry. The company offers a complete range of insulation products and accessories. Along with this the state of art facility used here helps to leverage our products and services toward perfection by offering preeminent quality. Our products include closed cell elastomeric nitrile and EPDM rubber sheets and tubes. These are available in various length, thickness and dimensions. We offer special products like Accosound, Accofoam, Antimicrobial, High Strength, High Temperature, and Self-sealing Pre-slit tubes that are available for customized applications. There are accessories which include Flexible ducts, Aluminum Tapes, Foam Tapes, Cork tapes, Pipe Support Systems and Adhesives Paints etc. There is also provision for providing Aluminum foil lamination, Glass Cloth lamination and Adhesive coating. The underlying feature of all our products is that they are environment friendly. Additionally they are energy saving; while meeting all standards of safety parameters. LNG Bharat Pvt Ltd is one of the leading company foraying into setting up a green field fast track floating LNG Import Terminal (FSU) at the largest private sector port on the East Coast of India, the Krishnapatnam port. The execution of the project is underway and is expected to be commissioned by end 2017. Petronet LNG Limited, one of the fastest growing world-class companies in the Indian energy sector, has set up the country's first LNG receiving and regasification terminal at Dahej, Gujarat, and another terminal at Kochi, Kerala. While the Dahej terminal has a nominal capacity of 10 MMTPA [equivalent to 40 MMSCMD of natural gas], the Kochi terminal has a capacity of 5 MMTPA [equivalent to 20 MMSCMD of natural gas].The company is in the process to build a third terminal at Gangavaram, Andhra Pradesh. 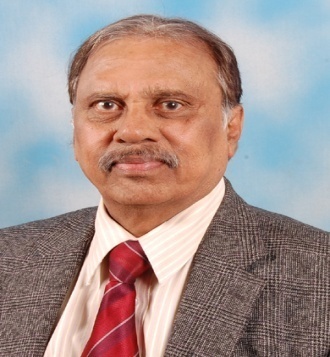 Dr. B. Mohanty has nearly 40 years of professional experience of government service. He joined the Indian Economic Service in 1976 and held important positions in the ministries of Agriculture, Finance, Consumer Affairs and Petroleum and Natural Gas. He joined the Ministry of Petroleum and Natural Gas in February 1998 as joint financial adviser at a time when the Government notified the roadmap for reform in the oil and gas sector. In the next 14 years, he worked on a whole range of oil and gas market reforms including dismantling of the three-decade-old Administered price mechanism (APM) and restructuring of the industry through merger and disinvestment. During this long stint, he had worked as Director General of Petroleum Planning & Analysis Cell (Aug. 2006 - July 2011), and as Senior Adviser (Additional Secretary level) until his superannuation in August 2012. He assumed the charge of Member, PNGRB in January 2014. He has over 22 years of experience in policy reform & restructuring, institutional capacity building & organizational transformation of entities in energy sector and has profound understanding of the natural gas sector. He has provided assistance to several regulatory bodies, public and private entities on the national and international levels encompassing a wide range of areas from gas pricing and allocation policies, strategy planning and bid-advisory for CGD & natural gas infrastructure projects, promoting competition, regulatory analysis, gas market assessments, incentive structure, delivery models for electricity and gas utilities, promoting efficiency and utilization of energy, tariff regimes for electricity and gas networks, transaction advisory for LNG procurement, contract negotiations, regulatory and litigation advisory, cost and profitability analysis of energy companies and trading related studies. 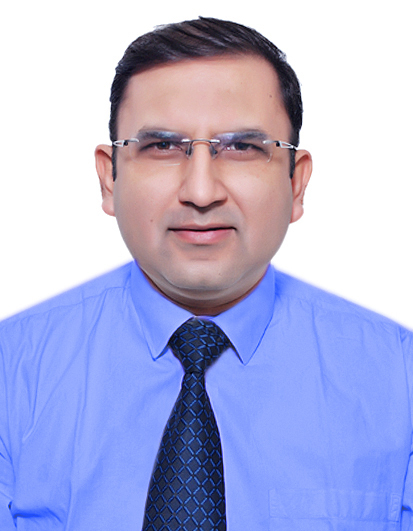 Mr. Pankaj Wadhwa is currently the Sr. Vice President (Finance) with Petronet LNG Limited (PLL). 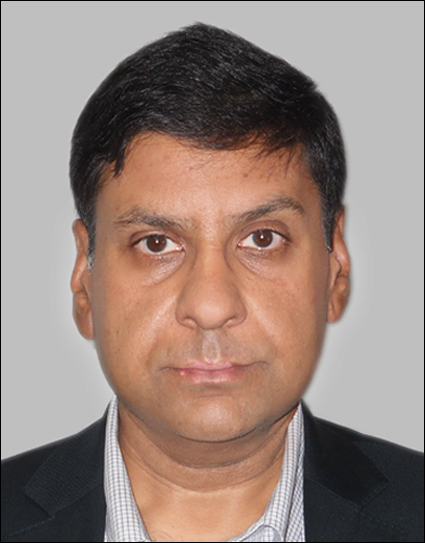 He holds a Masters degree in Finance & Control (MFC) from the University of Delhi, India. He is also a Fellow Member of the Institute of Cost Accountants of India. Starting his career with the fertiliser sector in India, Mr Wadhwa has had stints with the industry as well as consulting. 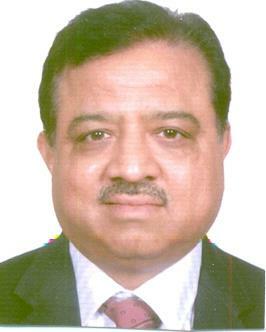 He has worked with Chambal Fertilisers, GAIL (India) Ltd and CRISIL Advisory in the past. His association with PLL goes back to the days when the company was formed in the year 1998. Mr. Wadhwa has handled assignments relating to LNG agreements - both on the buy as well as the sell side. He has covered shipping agreements and has had an interest on the regulatory side of the business. He has also been responsible for raising large sums of money from various domestic and international financial institutions. Dr.V.K.Rao holds M.Sc. and Ph.D. in Geology and has more than four decades of experience in the Oil & Gas Upstream sector. Dr.Rao has served in Senior positions at Oil & Natural Gas Corporation(ONGC); Directorate General of Hydrocarbons(DGH),Ministry of Petroleum & Natural Gas, Govt. of India, Gas Authority of India Ltd(GAIL),Reliance Energy Ltd, Reliance Natural Resources Limited and as Executive Director (Oil & Gas), Petra Energia, Brazil(India). He has been Head of NELP(New Exploration Licensing Policy) and CBM Rounds in Directorate General of Hydrocarbons under the Ministry of Petroleum & Natural Gas, Government of India covering five rounds of NELP and CBM Rounds. Dr. Rao has been on several overseas assignments to France, UK, USA, Russia, China, Australia, Canada, Singapore, Indonesia, Poland, Yemen, Syria and Ukraine among others for Oil field Development, Data evaluation, Project Assignments & as a Team Member of High Level Ministerial Delegation for Road Show Presentations. He has been the key note Speaker in many Seminars/Conferences. He has authored more than 20 technical Publications in various national & international Journals. Dr Rao has authored Industry Books on. Dr. Rao has delivered Key note addresses on Shale Gas Exploration and Production in KualaLumpur, Poland, Shale Gas Asia Conference in Delhi. He has presented key note address on Shale Gas Opportunities in India at the World Shale Gas Conference held at Houston, USA , 5th Unconventional Gas Conference in Bali, Indonesia and . Asia-Pacific LNG Summit in Singapore. Recently he has addressed 20th Asia Week summit at Singapore. He has conducted Workshops On CBM Exploration & Development as Course Director. Dr. Rao is a Board Member of American Biographical Institute, Raleigh, USA; Editorial Advisor to Oil & Maritime Journal, Singapore, Visiting Professor in Earth sciences Department of IIT, Powai, Mumbai ,Professor in Petroleum Engineering at Lords Institute of Engineering & Technology, Hyderabad and Listed Biography in "Reference Asia Book" and in "ndo-France" Directory of Scholars. 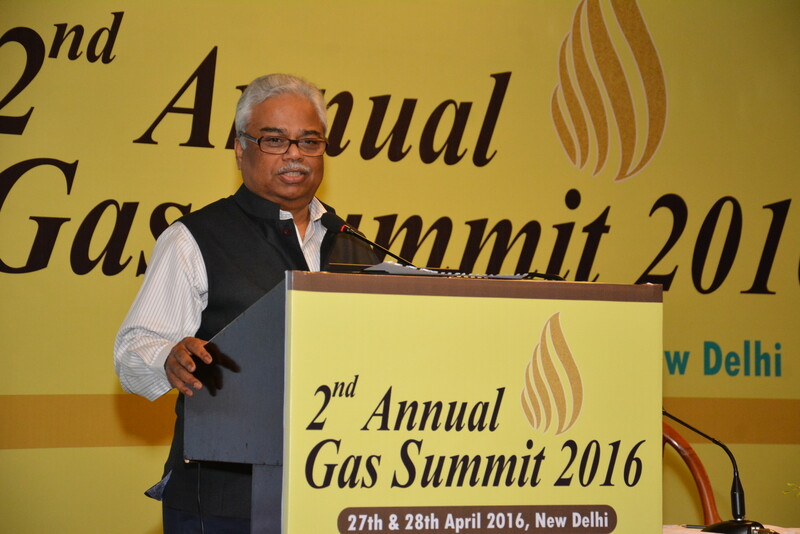 Mr. J Wason former CEO Gail Gas Limited & former Chairman, Kerala GAIL Gas Ltd. He has been the author of many a Joint Ventures in the Indian downstream Gas sector in the states of Karnataka, Kerala, Andhra Pradesh and Rajasthan. 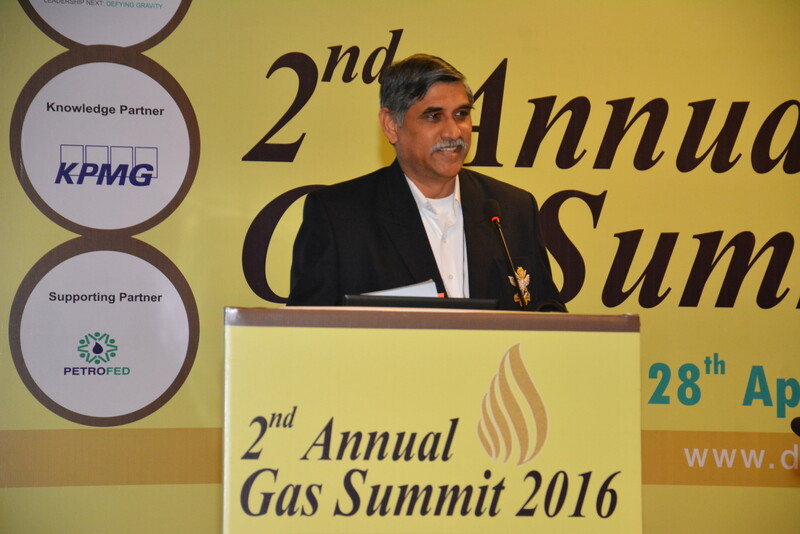 He has been Instrumental in bringing in the concept of FSRU being worked at & by GAIL Gas joint venture APGDC where he was the Director. 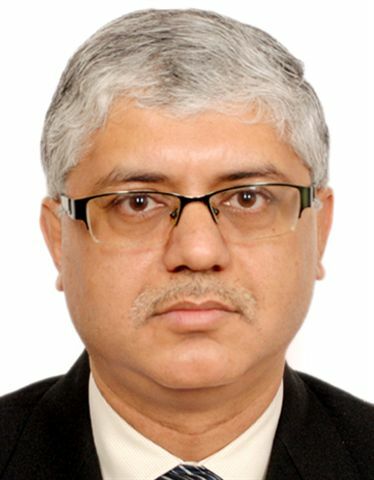 He has been the Director on the Board of Directors of Mahanagar Gas Ltd (a Joint venture of GAIL and British Gas),CUGL, and Vadodara Gas Ltd (a Joint venture of GAIL Gas and Vadodara Municipal Corporation (VMSS)),Executive Director (Marketing) Gas, Polymers,Liquid & Hydrocarbons and City Gas in GAIL (India) Ltd. He was Officiated as Chairman of the Natural Gas Society. 2013-14. More than 35 years of experience in two of India Maha Ratna National Companies-BHEL and GAIL. His last engagement prior to retirement was the CEO of GAIL Gas Ltd. He is a Post Graduate from Xavier Labour Relations Institute,(XLRI) Jamshedpur and has done his graduation in Physics from the University of Delhi. 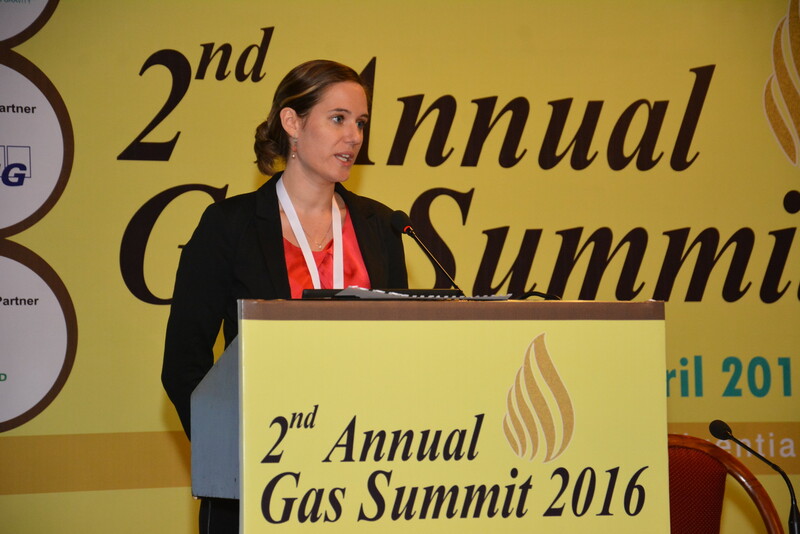 Previously with PFC Energy's Global Gas and LNG team, Rebecca oversaw LNG and gas demand forecasts for 65 countries and reported on LNG assets, markets, and companies in the Asia-Pacific region. 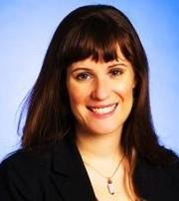 Prior to joining PFC Energy, Rebecca was an Economist at the U.S. Bureau of Labor Statistics (BLS), where she published trends on employment and earnings. Rebecca holds a M.A. in International Economics and International Relations from Johns Hopkins University's School of Advanced International Studies (SAIS) and a B.A. in Economics and Political Science from the University of Rochester, New York. Mangesh has more than 12 year's experience in the oil and gas industry and is based out of Galway Group's Singapore office. He has led consulting projects across the Asia Pacific and Middle East region, covering a broad range of topics from advising utilities on gas/LNG procurement, designing gas monetisation strategies for upstream entities, formulating market entry strategies for corporates as well as assisting financial institutions and banks on due diligence for investment in energy assets. He is well versed on the gas/LNG dynamics in Asian countries and is currently advising several clients within the region on development of FSRU projects. Prior to joining Galway Group, Mangesh worked with Wood Mackenzie and was a Principal in their Gas and Power Consulting Practice in Singapore. Before that, he worked with Shell and Crisil Infrastructure Advisory in India. Mangesh holds a Masters in Oil and Gas Management from the University of Petroleum and Energy Studies. He is an Associate Chartered Accountant, has cleared the ICWA examination and is a qualified Energy Risk Professional from the Global Association of Risk Professionals. Mr. Rajesh Kumar Mediratta has over 25 years of experience in apex organizations of India's power sector. He was with Central Electricity Authority, the apex planning organization, for about 8 years as Assistant Director. He then worked with Regional System Operator for 10 years. He was instrumental in implementing new settlement systems at regional level as consultant to a State. He has played a key role in commencing the first power exchange in India i.e., Indian Energy Exchange and has been managing its Business Development. He has been with IEX since its inception in year 2007. His interests include power markets, retail competition, settlement systems and de-regulation of electricity sector across the globe. He has to his credit several papers on Power markets, commercial mechanism, power system operation and settlement systems presented at international and national conferences. Mr. Mediratta holds a degree in Mechanical Engineering and is an MBA in Finance. 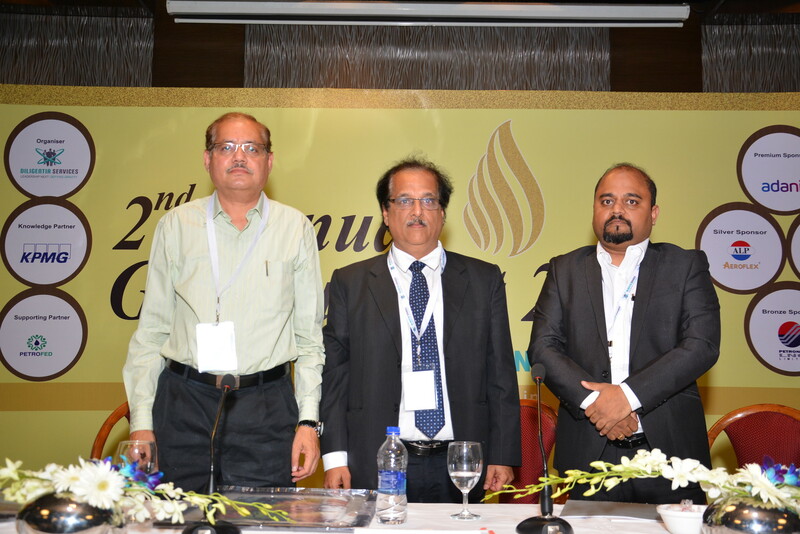 Mr Shahab Z Ahmed is Currently Associate Vice President - Sales & Marketing All India Head at ALP Aeroflex (I) Pvt ltd. Mr Ahmed is a member of 'ASHRAE'. Proir to joining ALP Aeroflex Mr. Ahmed Has with Bluestar Ltd as DGM and various other organizations worldwide. Mr Ahmed is having around 20+ years of experience with MNC'S (Multi-National companies) in the field of Design, Sales and Marketing of HVAC equipment and HVAC projects. He is a MBA & Engineer with emphasis in HVAC, in-depth knowledge of air-conditioning system, a self-motivated professional with exceptional interpersonal skills and proven track record in Product / Project Sales. 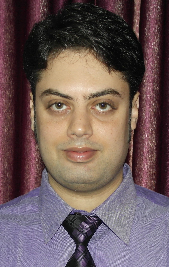 Ashish Singla is currently Senior Consulting, Power and Fuel at ICF International. He joined ICF in 2007. 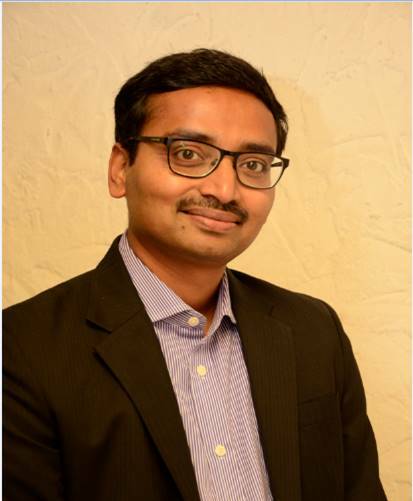 He has close to 9 years of experience in the global Power and Fuel market in the areas of demand aggregations, transaction advisory, asset valuation for development and acquisition, techno-economic feasibility of new/existing projects, power market outlook study and price projection, policy and regulatory studies, and Gas market assessment for India. He has through understanding of structure and working of Indian sub-continent and North American power markets. Mr. Singla in his professional career, as a consultant, supported planners, PE firms, investors, MNCs, developers on various power and fuel markets due diligence studies across the value chain. Mr. Shridhar Tambraparni, simply known as 'TP', is a Mechanical Engineer from IIT Mumbai. He started his career with NOCIL in 1980, where he worked for design and installation of Natural Gas Distribution Systems in Vadodara, Sibsagar and Duliajan. In 1989 he joined Mafatlal promoted, Gujarat Gas Company Limited and was instrumental in setting up Ankleshwer, Bharuch and Surat distribution systems. He was also involved in setting up India's fist CNG Station in Surat. He had a brief stint in Mahanagar Gas Limited where he was incharge of operation of Mumbai's Gas Distribution Network. He also worked for Auto LPG Group in Reliance Industries Limited.At present he is Joint President - Adani Gas Ltd, where he is responsible for the gas distribution business in Ahmedabad and Vadodara. Lieutenant Murthy Jasti aged 52, was educated at a military school, graduated from the national defence academy and served as a commissioned officer in the indian navy's submarines till 1993.He was trained in the soviet union as a specialist torpedo and anti-submarine warfare officer and for dedication towards his duty, he was awarded the "commander-in-chief eastern naval command" commendation in 1991.He resigned his officer's commission from the Indian navy in 1993 and has floated several successful companies in association with the reputed Apollo hospitals group family in India. In his civilian life, he has proven to be a successful entrepreneur, a good manager, happy family man, a socially responsible citizen and a good philanthropist.Lieutenant murthy successfully built and divested a shipping & offshore oil & gas, logistics company in 2008. From 1996 till 2008 this company was a reliable offshore contractor to reliance, cairn energy, ongc, bpcl in offhsore oil & gas exploration and spm terminal operations. 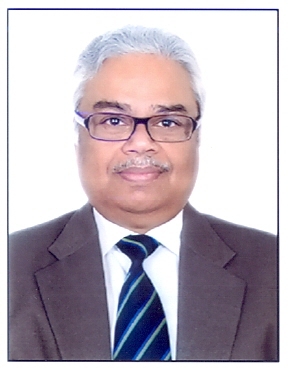 Lieutenant Murthy is currently the managing director of kei-rsos petroleum engaged in the oil & gas exploration and production in marginal fileds in the kg basin.He is also the managing director of gas transmission india ltd engaged in build, own & operator of the ennore to nellore to krishnapatnam 24 inch gas pipeline. Lieutenant Murthy is the managing director of lng bharat which is developing a 2.8 mmtpa lng import terminal at the krishnapatnam port, ap.He is fluent in english, russian, hindi and telugu. 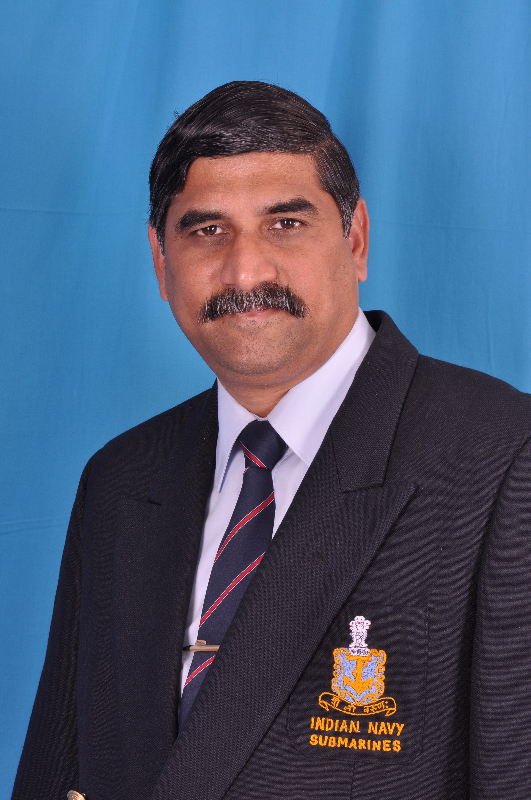 He is a keen sports person and has captained the indian navy's western naval command hockey team in 1984. Mr. Vijay Duggal Is ACA, B. Com (Hons. ), Delhi University - joined BPCL in 1987 - initial exposure in treasury, pricing and indirect taxes till 1992. From 1992 to 2002 Mr Duggal was deputed to Oil Coordination Committee where he developed expertise in financial, technical & operational issues in Refineries, Marketing & Pipelines, fixation of APM margins for Refineries & Marketing activities, fixation of tariffs for LPG pipelines, Oil pool account reviews and pricing studies. From2002-2008 he has worked with Petroleum Planning & Analysis Cell (PPAC)- Steering transition issues post-dismantling of APM and developing and monitoring subsidy mechanisms. From 2007 to 2009 Mr Duggal had been on the Advisory role in PNGRB, Helped in Developing key regulations for natural gas & petroleum product pipelines and CGD networks covering authorization, tariff determination & recovery, affiliate code of conduct, common or contract carrier, access code, capacity determination, etc. and analysis of key issues in Petroleum and gas sector. 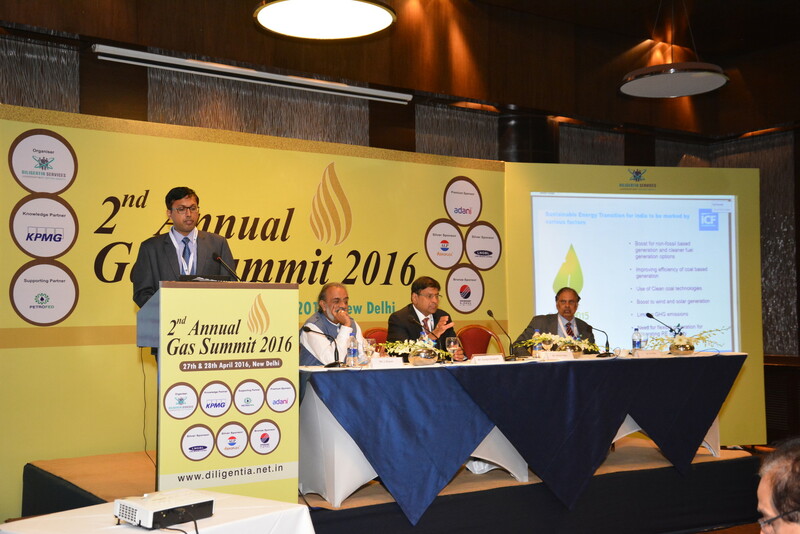 Currently Mr Duggal is the GM (Gas), Gas SBU, BPCL at Delhi where he continues to help MoP&NG in developing gas policies and has been on various working groups/ committees constituted by PNGRB & MoP & NG from time to time. Besides above, he takes keen interest in contributing to capacity building in the oil and gas sector. Kishore Hota has rich experience of more than 25 years in Energy sector, especially Power, Gas and Coal. He is a Mechanical Engineer from NIT, Rourkela and holds MBA from Xavier Institute of Management, Bhubaneswar. Since 2009, he is positioned as Addl. General Manager (Corp. FM) in NTPC, directly responsible for tie up of fuel for NTPC plants which includes Domestic gas, LNG and RLNG. He has been directly involved in tendering, negotiation and finalization major Gas/ RLNG Agreements including Spot RLNG procurement, Gas Transportation agreements for NTPC plants. As a sectoral expert, he was involved formally and informally in number of Govt. studies, policy and regulatory matters. Prior to this, he has worked in Operations and Commissioning of power plants, Corporate Planning, Strategic Planning, Hydrocarbon Business Development areas. As core team member he was responsible for study and implementation of an Organization Transformation project -"Disha" in NTPC. Sh.Hota has published number of papers and has been a regular presenter in prestigious national and international conferences. Sh.Gautam Chakraborty, a Graduate Electrical Engineer & an MBA in Marketing, joined GAIL (India) Limited as Graduate Engineer Trainee in 1991. He is one of the key personnel for implementation of GAIL's Pipeline Integrity Management System. Having vast field experience over 20 years, he was associated with various prestigious projects of GAIL. 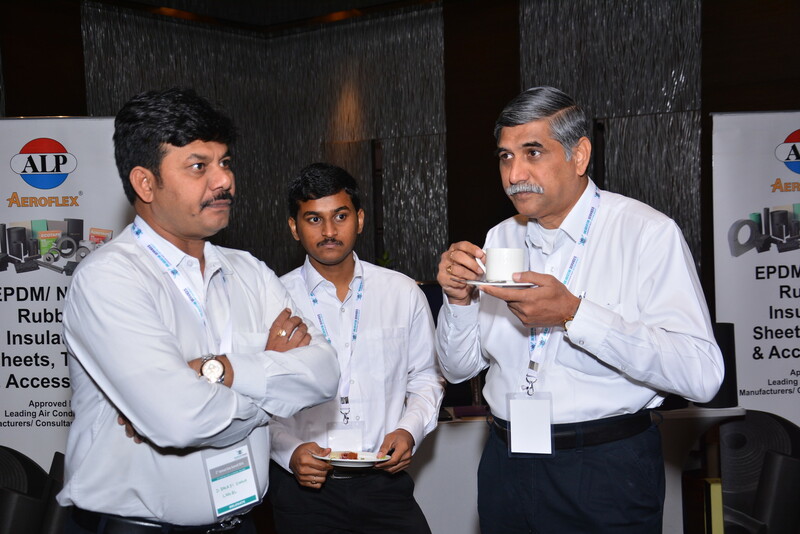 He had taken various initiatives to bring various new technologies in the various field of Pipeline Integrity in India. This includes SCC studies in GAIL's pipeline, ECDA/ICDA/SCCDA in non-piggable pipelines of GAIL, use of Axial Defeat Detection & XYZ mapping ILI tool in GAIL's Pipeline, Implementation of PIMS etc. He has also expertise in the field of Gas Measurement and a key member of GAIL for implementation of latest gas measurement system, Gas meter prover system in GAIL. He is an active member of International Gas Union . He has presented many papers on Pipeline Integrity, In-Line Inspection, and Natural gas measurement at different national / international forum. As head of Corporate O&M department, playing key role in Marketing of Domestic and Imported Gas, responsible for Gas Supply Chain Management involving over 450 customers, 13000 kms of Pipeline Network, 100 Supply points and annual revenue of over INR 54,000 crores. 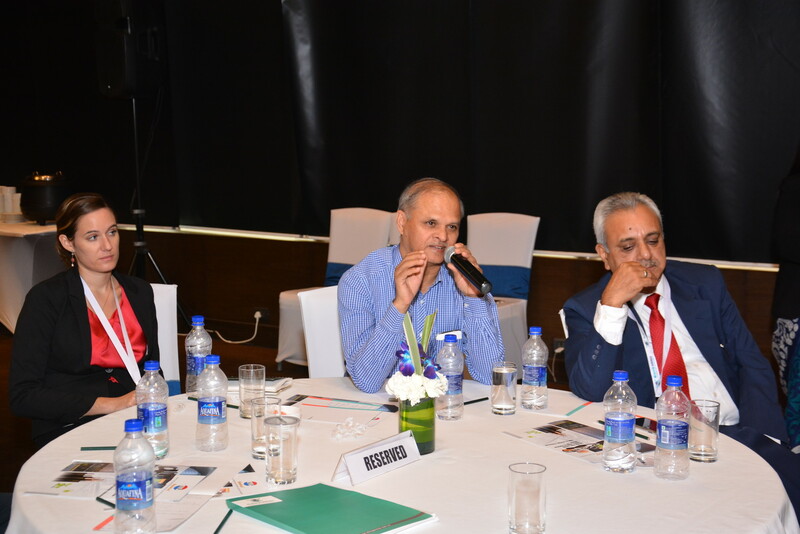 Besides, as head of Business Information System in GAIL, he has been endeavouring to take technology leverage towards SMART Working in the field of O&M and Project Management. 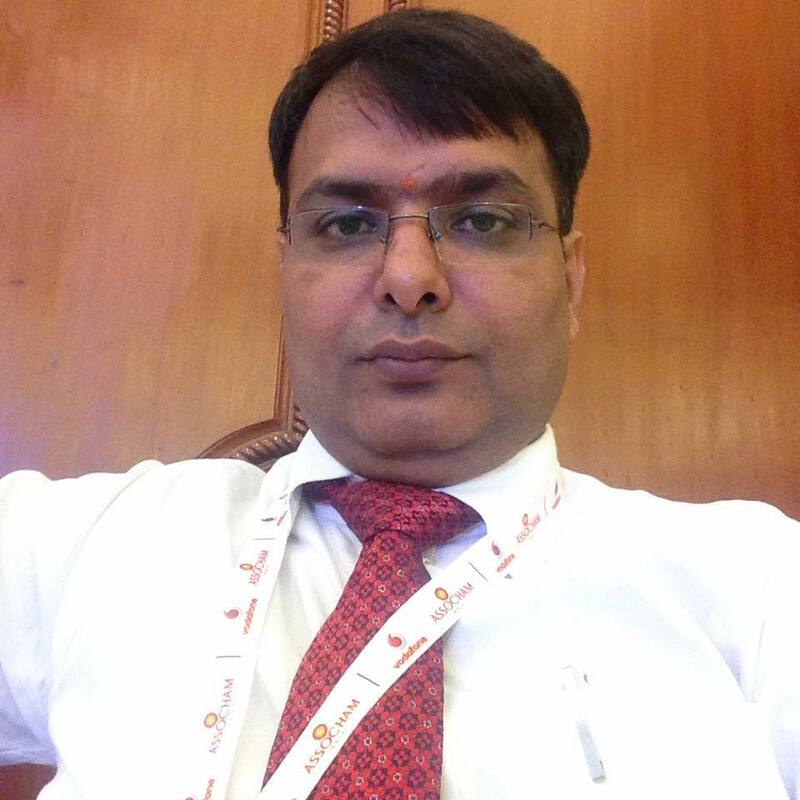 He is presently posted at GAIL's Jubilee Tower, Noida as Dy.General Manager (CIMG), looking after the Centralize Integrity Management Group of GAIL. 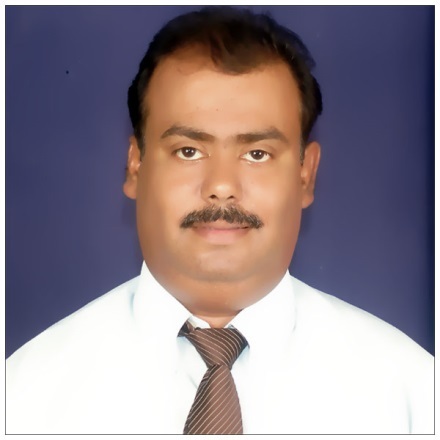 Sanjeev Kumar has more than 12 years of experience in Automotive and Oil & Gas Industry. 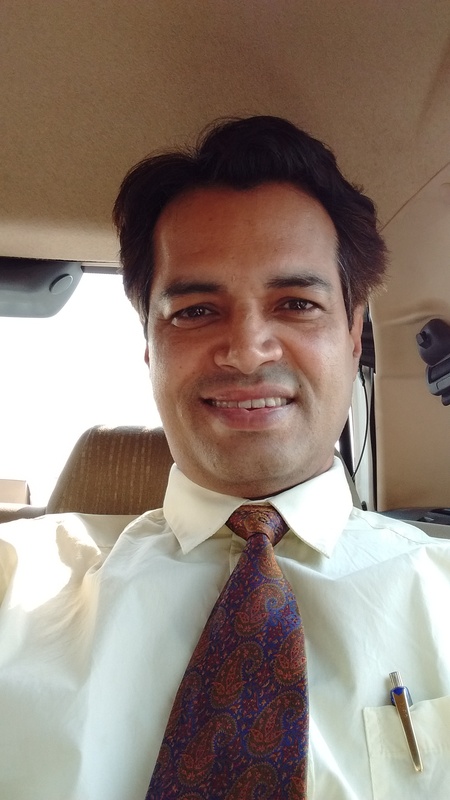 Based out in Gurgaon office Sanjeev is managing the Natural Gas projects in India for Westport Innovations. He is also responsible for partnership developments and South Asia Market strategy for Off-road and Automotive projects including Rail, Marine, Mining, Heavy duty & Light duty vehicles. Sanjeev started his career with consulting companies like Mckinsey & Company and Hewitt Associates. He has vast experience in consulting/research for Oil & Gas and Automotive Industries and delivered the key tasks in his past assignments. This is a very rare combination of experience in India linking both the segments together. Sanjeev has Master's degree in economics and has been part of non-profit organizations for rural electrification in India. Shadab has over 13 years of rich work experience in the downstream Oil & Gas space in varied functions of refinery operations, simulation software development, automation solution sales and customer marketing. 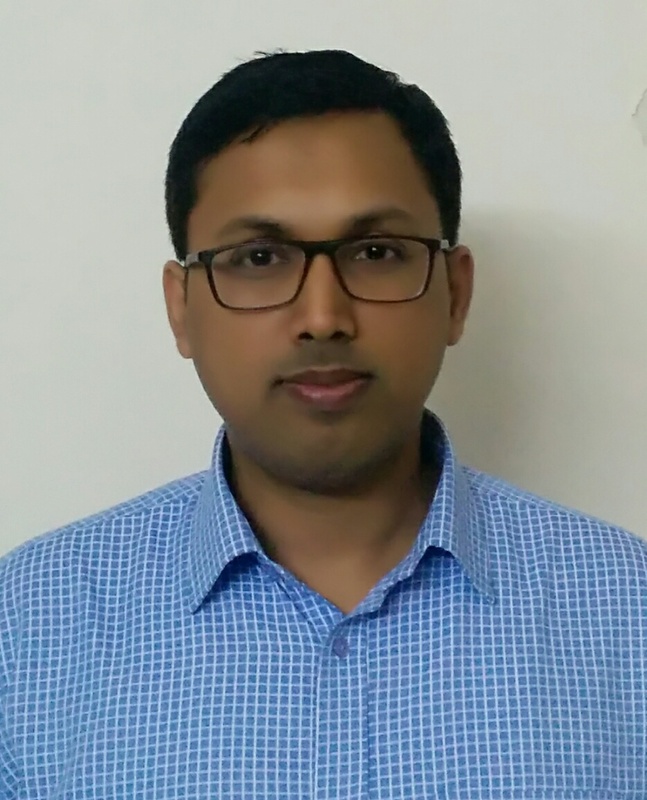 Having started his career as an operations engineer at HPCL's Vishakhapatnam Refinery, his experiences spans from the PSU to automation majors such as Invensys and, currently Honeywell. In his current role, Shadab leads the customer marketing for the automation solutions business of Honeywell Process Solutions, with special focus on Oil & Gas. Shadab is a graduate in Chemical Engineering from IIT-Madras. Nikhil Moghe is Director with Infrastructure, Government and Health vertical at KPMG Advisory Services Private Limited specializing in market assessment, CGD bid advisory, energy policy/regulations, gas pricing, gas sales & transportation contracts, bid advisory, business planning , allocation/utilization, benchmarking and optimization. He has worked extensively with stakeholders across the value chain of natural gas industry, engaging with both national and international clients. He has over 11 years of work experience having assisted regulatory bodies, CGD entities, ministry departments, financial institutions, oil & marketing companies, national and international gas and industrial entities/associations on assignments related to policy/regulatory framework, natural gas pricing/economics, demand/supply analysis, pre-feasibility studies, transaction advisory for LNG, gas power technology, litigation support and cost benchmarking. 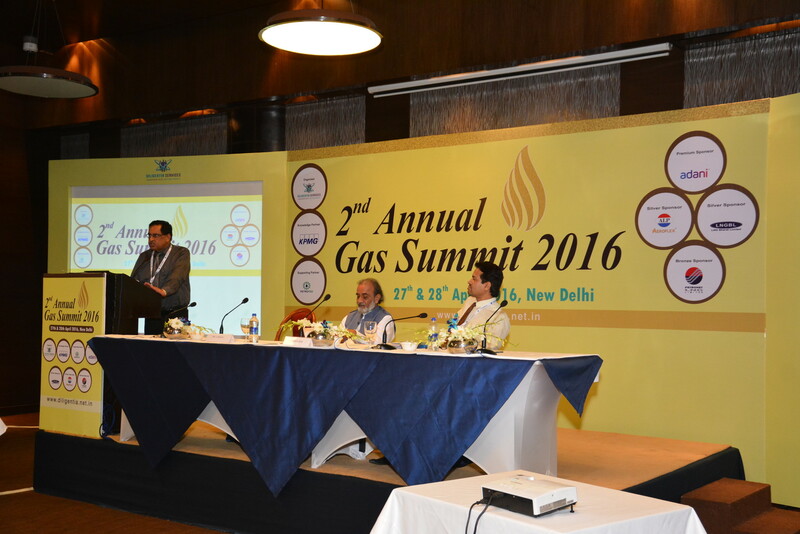 Mr. Vivek Joshi is the Executive Director of the Natural Gas Society - an industry body which seeks to assist and promote the growth of the natural gas sector and develop a cohesive voice for the Natural Gas Industry in the country. He was earlier Executive Director and later Advisor at GAIL (India) Limited. He has over 20 years of experience in GAIL and was also very intimately and actively associated with the development of the City Gas Ditribution system since 1993 right up to the pre- launch, launch and rollout stages of the networks in Mumbai and Delhi and subsequently also. Starting his career as a journalist with the Indian Express, Delhi, he later worked in SCOPE and Bharat Electronics before joining GAIL. A management Graduate from FMS, Delhi, he has attended several advanced management programmes in India, UK and USA. 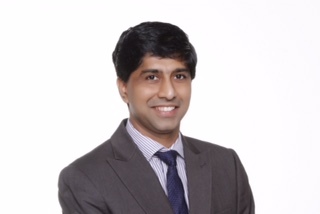 Suvojoy Sengupta is a Partner with McKinsey & Company based in New Delhi. He is also the leader of McKinsey's Energy and Materials practice in India. 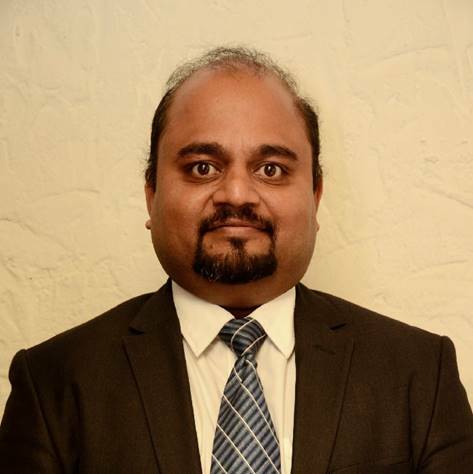 Suvojoy has 22 years' experience in the Energy sector, consulting to leading public and private sector organisations across India, Europe and Middle East. Suvojoy has served several leading Indian corporates and PSUs in the energy sector on topics related to strategy, operational improvement and organisational transformation. Global Scenario - How future holds in terms of supply-demand considering low crude prices? KPMG in India is one of the leading providers of risk, financial & business advisory, tax & regulatory services, internal audit, and corporate governance. With a global approach to service delivery, the firm responds to clients' complex business challenges with a broad range of services across industry sectors and national boundaries. Identifying relevant speakers and vantage topics that are highly relevant are appreciated. 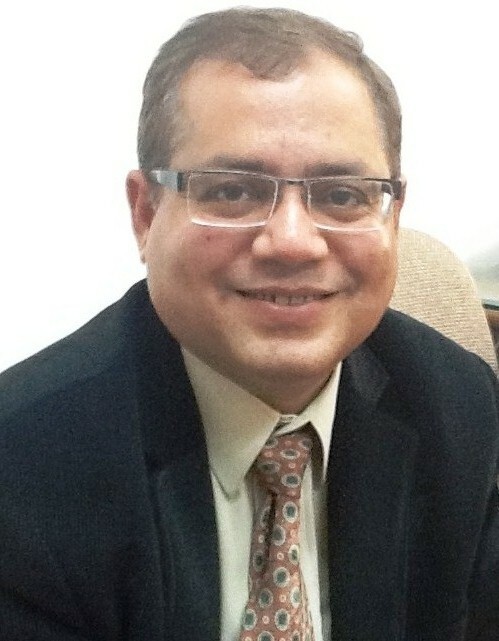 Mr. Kaushik Ranjan Bandyopadhyay - TERI. Good facilities Speaking about wide variety of topics. The diversified speakers group you brought in was excellent. Well organised, good speakers, nice venue & arrangements. Good to organise such valuable conference. It will be good if more number of conferences would happen in future.